I thought I would post about something a little different today. Seeing as Titanic has just been re-released in 3D, I decided to watch it again, and the first thing that impressed me was the costume and accessory designs. 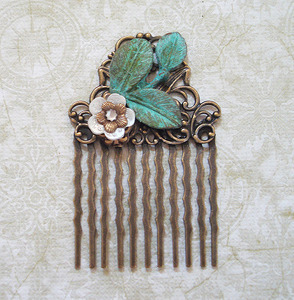 I especially loved Rose's dragonfly hair comb, so I thought I would have a little look online for some similar pieces. I came across a lovely jewellery shop called Roses are Red. They stock all sorts of things from necklaces to bracelets, and each design has a vintage feel. 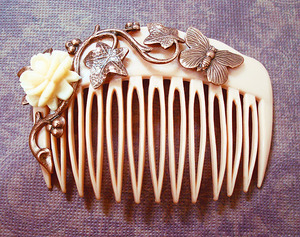 I also managed to find these amazing hair combs, reminiscent of the Edwardian/Victorian era, and they are just gorgeous. I really like the attention to detail, and I think they would be ideal for wearing to a wedding or party. 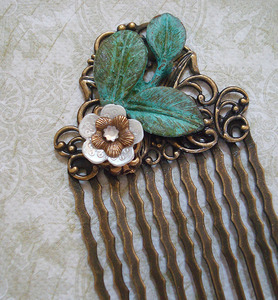 The prices are also very reasonable with these hair combs coming in at £7.50 and £8.50. Roses are Red are even offering a 10% discount on you first order! I hope you'll all check out the website! 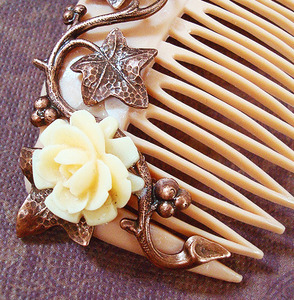 The hair combs are beautiful. I do love thier vintage feel.